This elegant tea tray is made of solid beech wood. It looks very nice with the beech wood grains after being finished. It is very good to take tea pots, tea cups and tea bags in office or at home. We embossed customer's logo onto the tray and pack it into a colorful paper box. 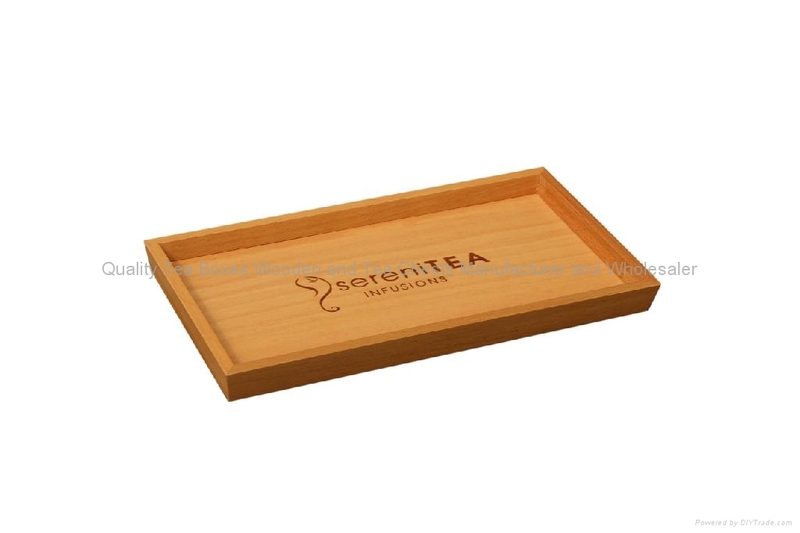 We take great pride in manufacturing the highest quality, custom made wooden tea tray, tea caddies, tea displays and tea boxes and chests for each and every customer. We have the skilled workforce and expertise required to meet any and all of your wooden box needs.